I did it. (the very famous line from Presumed Innocent – great movie!) 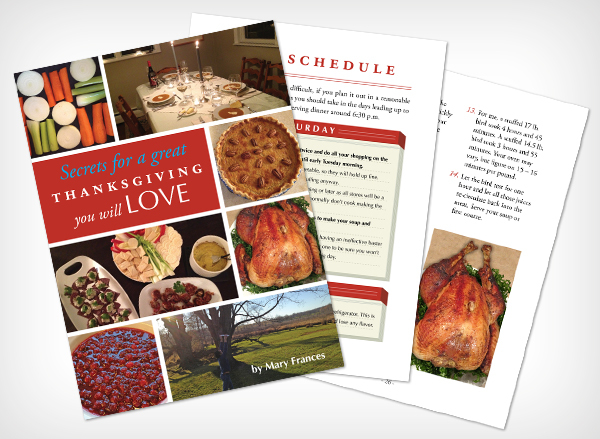 But no, really, our Thanksgiving e-book is out! I wrote our first e-book on how to make a fantastic Thanksgiving meal. I have collected and put together my favorite 13 recipes, along with a process guide on how to get everything accomplished on the days leading up to the big day. This makes it easy for you. Understand that I have been making Thanksgiving dinners for quite some time now and this is a collection of my very best recipes. It was only last year, that I discovered the perfect side dish of Brussels Sprouts with a Fish Sauce Vinaigrette. Yes, really! I know it sounds weird but this dish works really well in the pairing with the other rich dishes that surround the turkey. Of course, you don’t have to make every recipe that is there. Pick and choose to suit your taste. But in this book you’ll find the very best way to roast your bird to achieve moist, melt-in-your-mouth white meat that doesn’t even need gravy. But don’t worry, I give you the best giblet gravy to make as well, seasoned with thyme and the crushed roasted vegetables that formed the rack for roasting the bird. My appetizers are great too – light and just right and you won’t need a second oven to prepare them in, because I don’t have one at our country house, which is where we’ll be celebrating. My stuffing has become globally famous and the cranberry sauce is just sweet enough, punctuated with fresh ginger and orange zest. Believe me, I’ve tried dozens of different recipes for all of these dishes and in this book, I only present the ones that made it to stardom. The process guide combats intimidation and will keep you organized and sane. (So will a glass of wine.) We’ve even included little check boxes for you to appreciate your accomplishments along the way. Of course, the book is beautifully designed by our team here at PM+CO, because that’s what I do in my day job. Check it out here with a full listing of recipes. Please share your experiences with me. I welcome your input! Will you be adding paypal to your payment options? Hi Maureen – We’re going to try to add Paypal on Monday. Thanks!! Maureen – Paypal is up on Amazon, where we have a Kindle edition. Congratulations, how wonderful. I’m going to get this today. Great work! apuginthekitchen recently posted…Thank You Everyone! Thanks Suzanne!! Hope you like it and find it helpful – course you’re an expert! It’s wonderful, so well done. I’m making that butternut squash bourbon soup now!! I try so hard to be organized for Thanksgiving maybe this year! 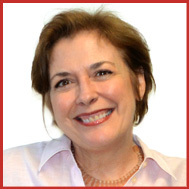 Hi Suzanne – Thank you for buying the book! I hope you LOVE the soup. My family does – they say it’s bowl licking good as the picture shows! I hope some of my tips will help with organization this year. Congrats Mary Frances!! I’m going to check it out! Great!! I hope you enjoy it!